Becoming a stunning and gorgeous bride is every woman's wedding dream. Becoming the perfect bride requires a great deal of time in finding the right wedding dress. For plus size women, this task is a bit more difficult than for women who have slender and slim bodies and can easily fit in regular sizes. But being a woman whose size is slightly bigger than normal does not necessarily mean that becoming a beautiful bride is impossible. 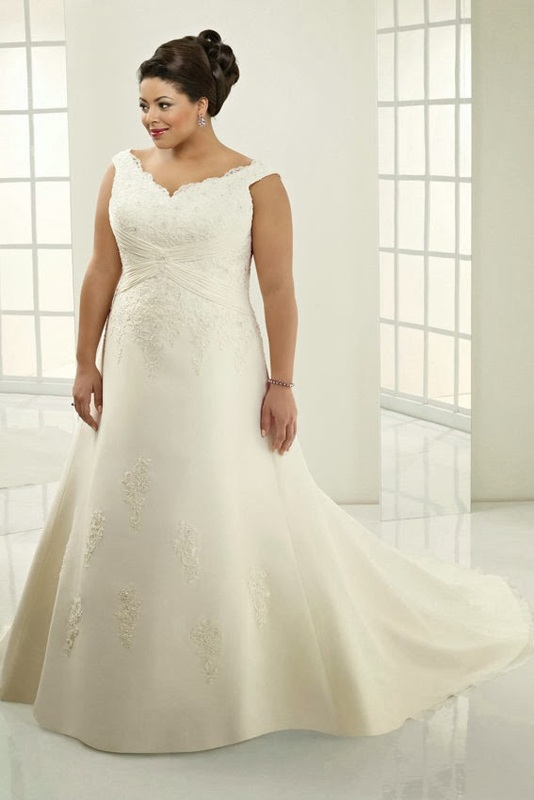 Some plus size women might feel slightly discouraged at the beginning of their search for the perfect white dress or for the most unique bridal gown at boutiques and departments stores, so becoming emotionally prepared is very important to be able to find the ideal plus size wedding dress. Here are three tips to help plus size women find the best wedding gown for one of the most anticipated events in their lives. First, plus size women must gain a complete understanding of their body's shape and size. Some plus size women might think that they are totally deprived of those great curves, but they are not; they are simply bigger than the usual body sizes. It is still very important to determine a woman's body shape, whether it is an hourglass, round, A, H or V-shaped. Just like dresses in normal sizes, there are do's and don'ts for these body types that are also applicable for plus size women to ensure that emphasis is given to the body's best asset. Second, plus size women must not compromise comfort over the fit of the wedding dress. Some women might think that becoming uncomfortable but looking great for one of the best days of their lives is a worthy sacrifice. But think again. This is one of the happiest moments in a woman's life and making great memories is a lot easier if the bride can dance and move freely with the wedding gown. Every good wedding dress is designed to bring out the best in every woman without making them feel uncomfortable. Look for wedding dresses that are made of high quality fabric and depicts the designer's unparalleled workmanship because these pieces often take into account the woman's body shape and comfort. Some fabrics are stretchable or flexible to allow brides to move with ease. Lastly, avoid the puffs and pleats. Puffy sleeves can add more plumpness and pleats tend to make the bride look bigger. Sticking to the traditional A-line plus size wedding dress is still one of the best options for plus size brides. 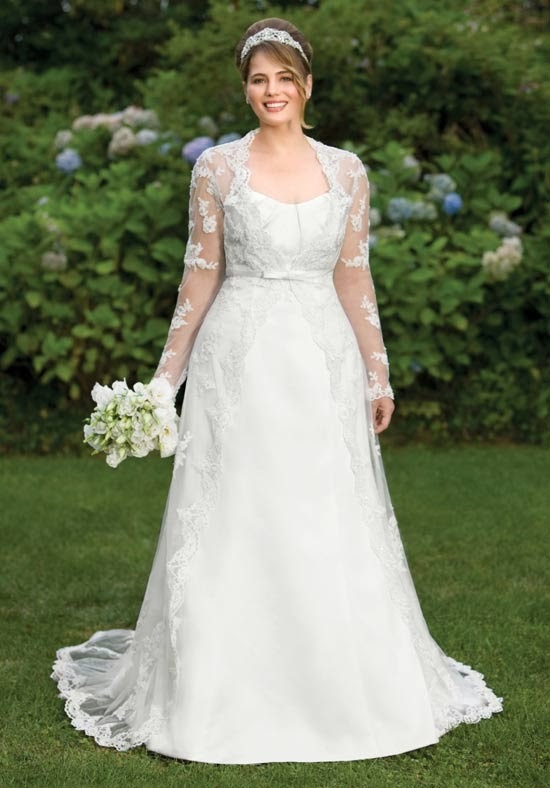 The A-line style can make plus size women look a bit slimmer and slender in their wedding gowns. Searching for the perfect plus size wedding dress is probably one of the most difficult tasks for a plus size bride. Plus size women can begin their search over the World Wide Web to save time and find the best places that accommodate plus sizes on their dresses. Most local boutiques and shops have their websites or in some cases, their virtual stores open online. Always keep in mind that patience is the key to finding the most beautiful wedding dress for the most beautiful bride regardless of shape and size.